If you get the chance, be sure to click the link from BBC above and watch the part especially where she draws grief. I had always assumed someone had to die to feel grief, but I am grieving what Grace (and Luke, Chad and myself) have been through with her cancer. And my grief isn't limited to her suffering from cancer, but also my own learning that life is messy, dangerous, and out of my control. Accepting this is what grief can look like was one part of my struggle, but how to deal with it was even harder. I didn't want to "move past it," as had been suggested to me many times in many ways. It was a major part of Grace and Luke's childhood. It was saturated with meaningful friendships. It was the crucible for my marriage that nearly destroyed us, but by the grace of God, purified our love for each other. It was where I learned to trust God. If I move on, I leave that behind. Even if I wanted to "move past" or forget, it would mean going back into denial. I tried that the first time Grace had cancer. I tried to drown out the memories and feelings with compulsive cleaning, too much wine, and controlling every detail of life until my children and husband wanted to escape me. Until I wanted to escape me. I've spent the last two years learning how to live out of denial, and I knew I couldn't go back into it. The tradeoff is when you're not living in denial you feel the pain. All of it. On the days when the grief nearly strangled me I wondered if denial really was the only option to survive. The grief on Grace's relapse anniversary was devastating. I couldn't function, even on depression medicine. I was numb one moment and hysterically crying the next. The memories were vivid. I could even smell the antiseptic. I remembered moments that I had forgotten and they were as real and frightening as when they had happened. I didn't know if this is how grief worked. 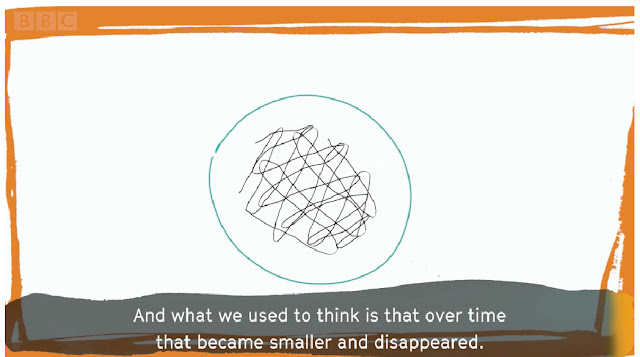 The BBC video, when she was sketching grief, really helped me. It's very true that the grief doesn't go away. Even with denial, even with intentionally burying it, grief really never leaves. I learned I won't have to worry about losing the good parts of it, if I let outside life grow up around it. It's still there and strangely, that comforts me. I also realized that grief can flare up, and that's ok too. I found that after Grace's relapse anniversary, it did calm itself and looking back, I'm thankful for the flare up. I grieved...but it was worth grieving over. To ignore the pain and the hardship seems like I'm minimizing the suffering and pain Grace endured. It was bad. It deserves grieving. I've also been really focusing on trusting God lately. The flare up of grief around Grace's relapse anniversary was as painful as the day she relapsed. The first time Grace had cancer, we felt God's presence so strongly in the hospital room that Chad and I never doubted for a second that He was, and would be, with us. The second time...nothing. Not even holy crickets. That was very painful. It didn't last, but the wound is still fresh. I think He was silent so that we'd rely more on the relationships we had been working so hard to make. And to trust His word and His promises, even when He is silent. But it was painful all the same. Writing it now brings a knot to my stomach. Even if God had a good reason, it felt like abandonment. Her relapse itself felt like abandonment. Grace's relapse was probably caused by 1 or 2 cancer cells out of 37.2 trillion healthy cells. And I just didn't understand why God didn't solve the problem himself. Wiping out two cells really isn't that hard if you're God. It just seemed avoidable. It seemed like if he cared, He could have intervened and saved her from suffering again. But he didn't. And even if I know the reason theologically, it didn't heal the wounds in my trust with God. What hurt again was that the whole anniversary of the relapse, God was silent. Normally when I hear God's voice, its a voice that isn't heard with my ears, but it is powerful. I almost always know that it is GOD and not me, and it always thrills me. He did speak a few times during these last few weeks, but it was such a quiet whisper. I know it was Him because it matched up perfectly with the Bible, it was true, and it was outside my own thoughts...but so painfully, painfully quiet. It was guidance, but without the reassurance of his powerful presence and love. It felt the same as when she relapsed. And that brought up the abandonment feelings twice as hard. The thing I have learned over some twenty years walking with God is that he's very intentional. I trust him enough to know that if he is silent...then it's for a reason. It wasn't because of my sin, I'm pretty sure it's because he wanted me to focus on other lessons he's teaching me. Like trust and forgiveness. I've been so critical of other Christians. Really. Badly. I feel resentful that so few of them can relate to my pain, let alone guide me in it. I've been hurt by many who have misquoted the Bible at me, who've encouraged me to believe promises that God never made, who've looked down on me in their self-righteousness because I am so clearly human. And in my unforgiveness I've judged them for what I felt was their "petty" trust in God. Because God forgiving all our sins feels great, once you've finally accepted it as true. Knowing that you're now a child of God, loved, and free from sin and shame makes you feel pretty awesome about yourself. There are many victories. God breaking spiritual chains and addictions is a life full of new freedom. In some ways we do trust him less at this phase, as there are visible results that prove Him faithful and true. But lately it's been hard for me to accept that God always heals our souls but doesn't always heal our bodies. (Some would misquote the Bible to argue...but His priority is to heal our soul's sickness.) And....I struggle with that. Trusting God for forgiveness seems easier. When God forgives your sins but lets your body suffer...it's hard. Even harder when he lets your child suffer. There's less to see, less to hold onto, less to be part of. Less hallelujahs, more questioning, more trusting in the invisible God. And I pray that I will never have to learn this trust-- the trust that must be learned when the one you love most dies. There's even less to see, less to hold on to. Heaven is a promise but we really don't have any evidence of it except to trust that Jesus is trustworthy and true. Instead of victories and freedom, there's pain and grief, and praying that if you should fall, then to only fall on Jesus's mercy. But I think that's the lesson God is trying to teach me. I think trust can only be learned in the silence. When my naked soul is left quivering and weak, then I find out if I ever really trusted him- not only for the freedom from sin and shame, but trust that He is good even when He doesn't answer my prayers. To trust him that heaven is where all will be made right, and trusting Him to be good enough to keep that promise. The most beautiful part of these last few painful weeks is finding that it only takes a grain of faith, a mustard seed, for God to pull me to himself and let me bury myself in his arms. And together we grieve. I think wholly trusting God means an acceptance of grief. Because I think God is grieving. Grieving that this world breaks us, grieving that his victories are sowed in suffering. I'll add-- I think God definitely has a benefit over me, to exist outside the constraints of time. Though he grieves, he sees the victory even clearer. And though we grieve in an embrace, He is still whispering. I miss His voice, like missing a dear friend. I have partnered in at least some of his grief and in some of the trust. I am learning that both grief and trust are a journey and both will have flare ups and both have life grown around, and through them. I am still broken. But Jesus knew I'd reach this point long before he sang the world into creation. Back when I was singing hallelujahs, he knew how weak I was. He knows me better than I know myself, and in the quietness, He loves me still. 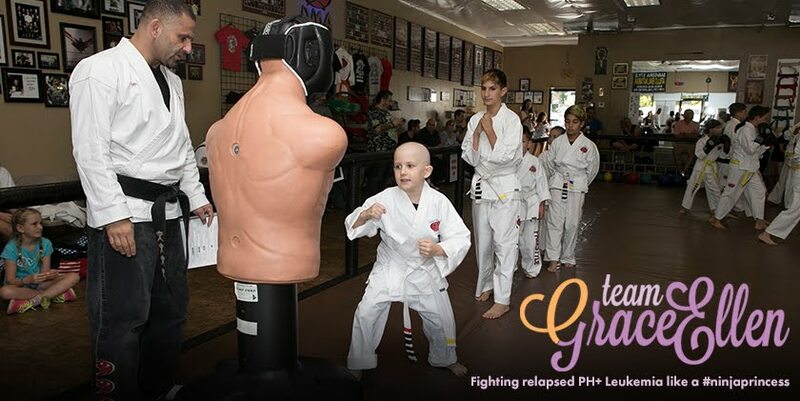 Grace Ellen turned four in January 2014, and was diagnosed with PH(+)Acute Lymphoblastic Leukemia a few weeks after. In 2016 she was declared cancer free! This blog follows our journey as a family. 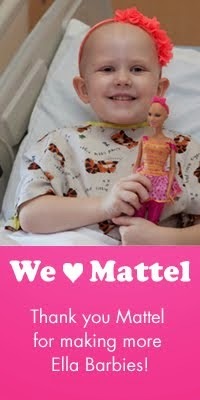 You can also keep minute-to-minute updated on the Facebook page, "Team Grace Ellen."